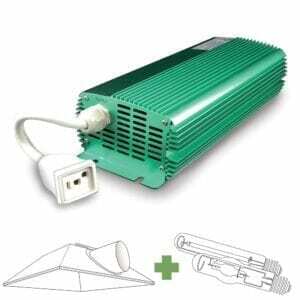 AgroMax 315w CMH Grow Light Systems deliver improved adaptability and system design in addition to other advantages of ceramic metal halide technology such as superior color quality & growing spectrum, super-high PPF, and low energy consumption. 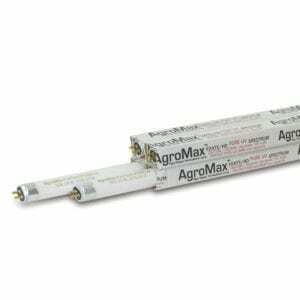 At the core of the system, the finely tuned AgroMax HyPAR square-wave digital 315-watt CMH lighting ballast drives horticultural 315 watt CMH bulbs to their full output potential in a compact and remote package that reduces both unwanted heat and clutter in the grow space. 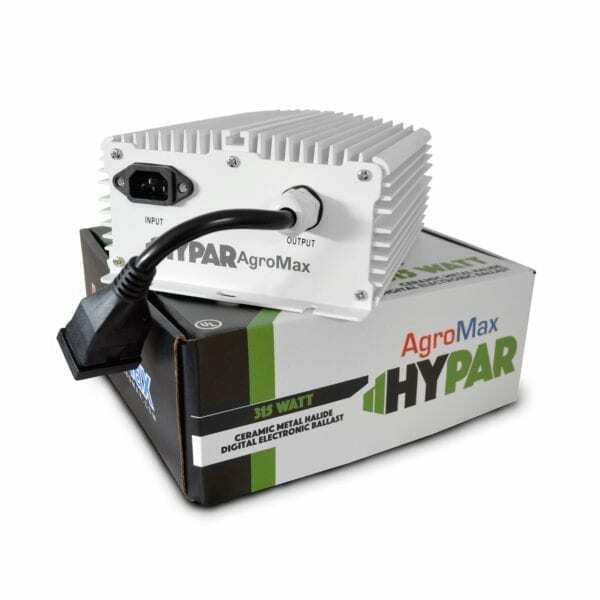 Favored by many for full-cycle growing, the AgroMax HyPAR provides all of the benefits of CMH lighting at nearly half of the cost of comparable systems! 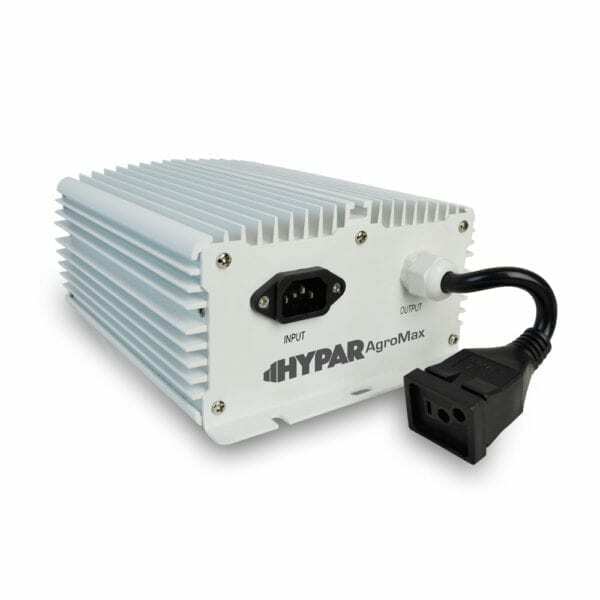 – Standard US mogul-base remote socket configuration enables the HyPAR system to be paired with a wide range of reflector/hood options for better customization. Upgrade your fixture at a discounted price! 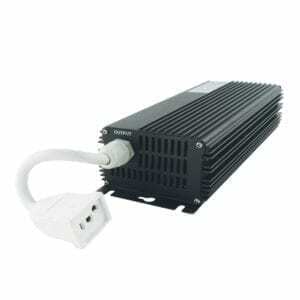 Choose from popular reflector and air-cooled hood models. 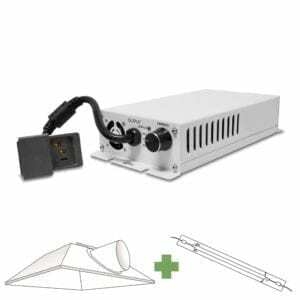 The AgroMax 315 watt CMH grow light system provides all of the benefits of cutting-edge digital CMH lighting at nearly half of the cost of comparable systems and comes ready to grow! 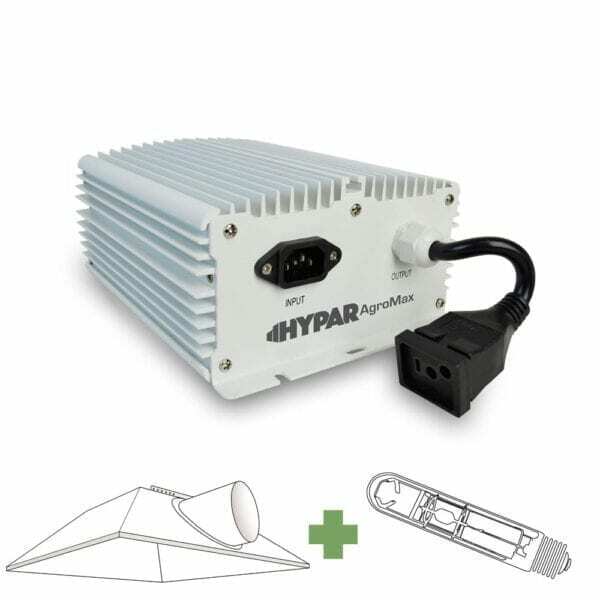 Choose from a variety of great reflector/hood upgrade options, all at discounted package pricing. Customize the system with the reflector that best fits your needs, and save even more with bundle pricing on spare bulbs and accessories! 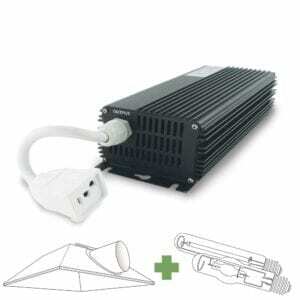 Q:CMH, CDM, LEC Grow Lights – What’s the difference? 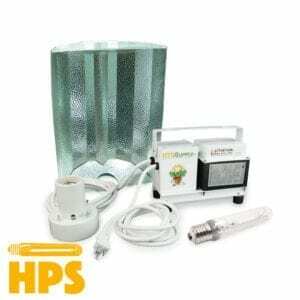 A: Actually, these are all just different terms used for ceramic metal halide grow lights. 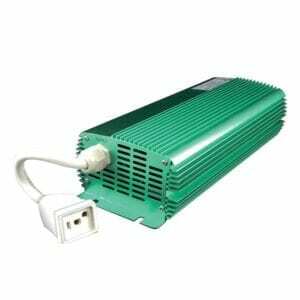 Light-emitting-ceramic (LEC) is simply a manufacturer-specific line of ceramic metal halide (CMH) grow lights, while CMH is the general term for this type of light. 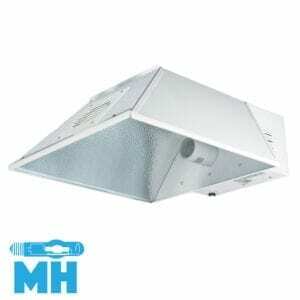 The abbreviation of CDM stands for ‘ceramic discharge metal halide’, which is just an extended version of the same term. 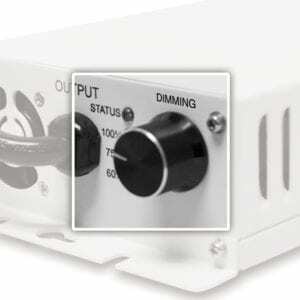 Q: Why doesn’t the HyPAR have pins on the bottom like other 315 Watt CMH bulbs? 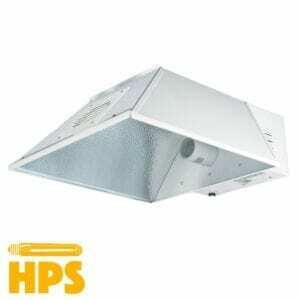 A: Originally popularized in Europe, many 315 watt CMH bulbs such as the Philips MasterColor were widely produced with the PGZ18 base (pins) for use in European fixtures and are still mostly available in that format, whereas the mogul base (screw in) is the most common lamp base type for grow light reflector hoods in the US. Bulbs with the PGZ18 base can also be used in the HyPAR system with the addition of a simple adapter (included when you select the Philips bulbs with this kit). 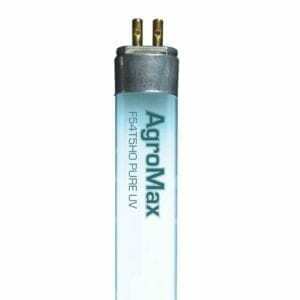 In addition to superior color rendering (CRI), super-high PPF, and improved color stability, the AgroMax HyPAR CMH bulb provides a next-generation horticultural spectrum with increased Ultraviolet (UV) and far red wavelengths as well as a higher luminous output than other 315 watt CMH bulbs for even better growth.